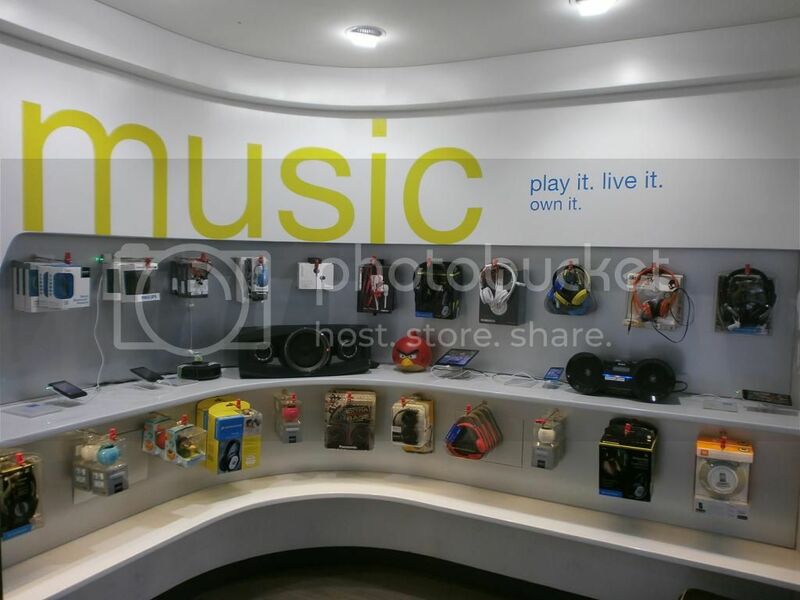 Disclaimer: I will get a Philips external speaker for visiting and writing about the Univercell Sync showroom experience. In this post, I also want to discuss about buying mobiles in store vs. online, based on my recent experience. Frankly, I bought my current cell phone from an online retailer. I researched for one month before identifying the model that matched my requirements. Even though I am fine with the mobile, there are two crucial aspects I am not satisfied: The external speaker is poor, and the camera is average in full-light/poor in dull light. For some reason, it never occurred to me that I should see/check the phone before buying. I thought it was OK to take a risk, as the cell phone is less than 10k rupees. But the mobile I bought is not good enough for applications that were important to me. In my case, I have already got an external speaker, and I don’t use it for photography much, even as a backup. But if I had known this earlier, maybe, I could have considered buying an alternate model. I am sure all of us would have undergone similar experiences while shopping online, especially for mobiles. There are reviews and popularity ratings, but all those are subjective. A good quality speaker for one person may not be good enough for another. Same with camera. We do buy blindly without verifying crucial aspects of the mobile, don’t we? A question that the Univercell executive asked us was: How do you buy a mobile without seeing/feeling it? Even if the mobile is just 5k, it’s still our money. And if we are buying a higher priced mobile, I think it is important to check and feel the actual mobile (and alternate models) before buying. 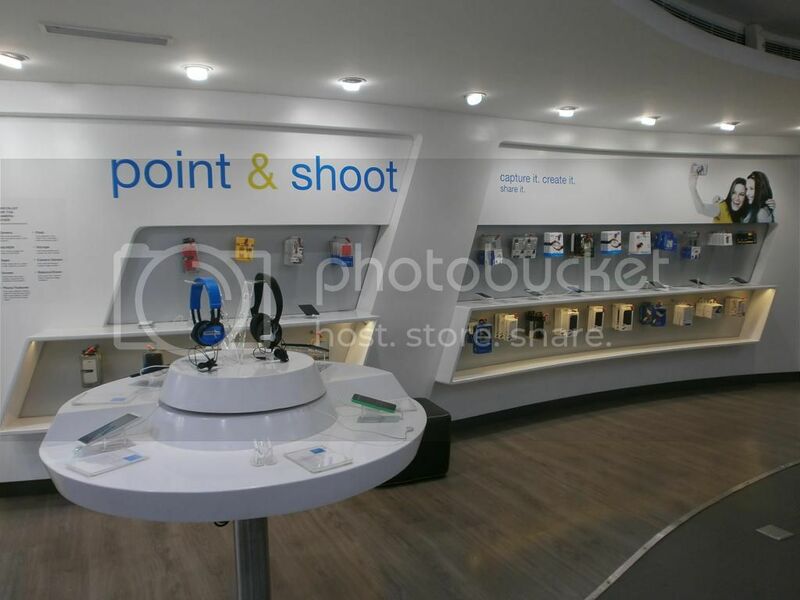 That’s why the Univercell Sync showrooms, available in select locations in a few cities, offers a unique concept: They have divided the store into different sections, with live display of phones optimized for following functions – Music, Camera, Work & Play, Popular & Bazaar. They say that although people want to do everything in a mobile, everyone wants a mobile optimized for one/two functions that matter most to them. This setup will help us touch, feel and select the right mobile for our application, from the selected mobiles displayed in each category. 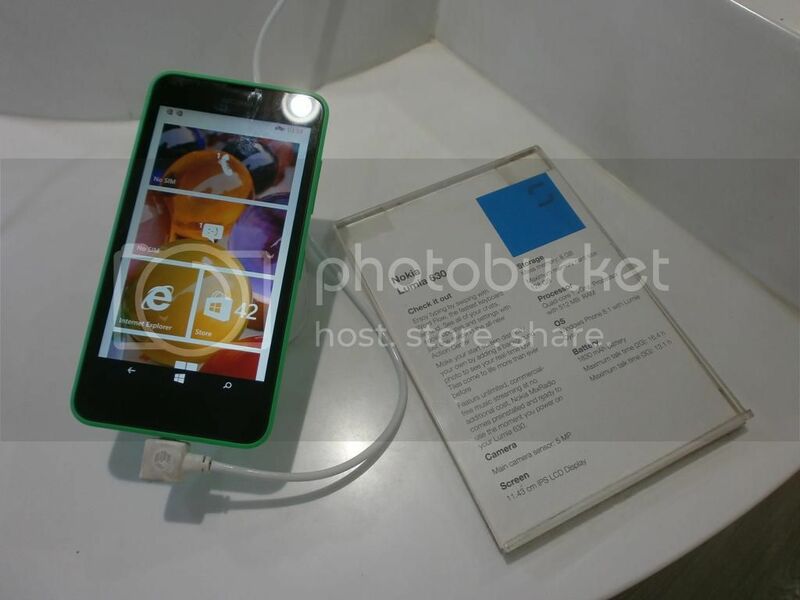 In my case, had I visited the showroom, I would have most probably zeroed in on the above shown mobile: Nokia Lumia 630. You should use this phone to feel how smooth and wonderful the touch experience is. Besides, I am a fan of Nokia and Windows OS on mobile (I had a HTC phone with Win 6 earlier, and I loved it). The Windows tiles are just awesome. The camera is very good. I guess the music will also be better than my current phone. There maybe a small difference between the showroom price and the Online price, but I think, I would have paid a (small) premium for enabling me to select the right model. Of course, they should try and get closer to the Online pricing as much as possible. 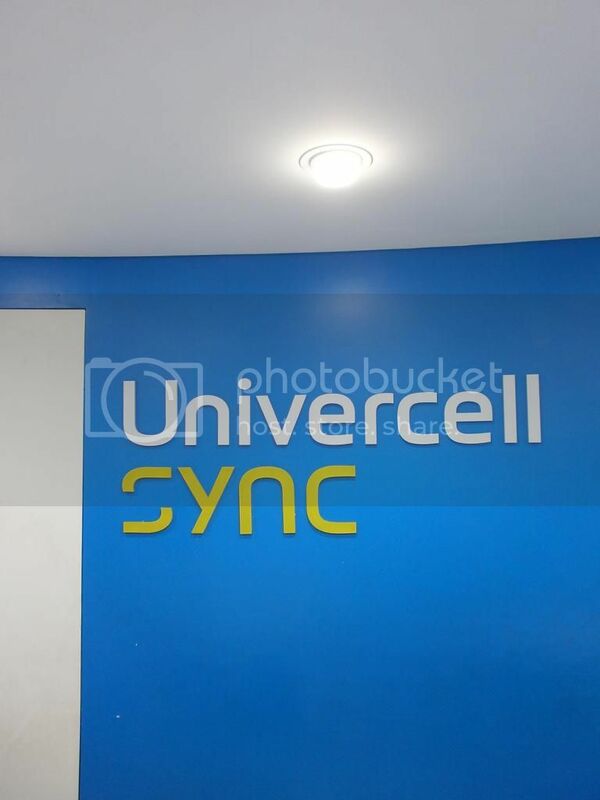 Besides, Univercell Sync offers other services like loading the best apps once the mobile is bought, coming to your house and explaining how to use/installing apps (for a price), sending their person to collect (and give back) your mobile in the service center (for a price), etc. In this era, where time is money, these services could be useful to many. Interesting Rajesh! I too like the concept of buying phones by going on operate and feeling in hands. I am looking forward to buy a smart phone within 10K, and also going through puzzle whether to buy it online or get from store. There are many good phones in the 5-10k range. 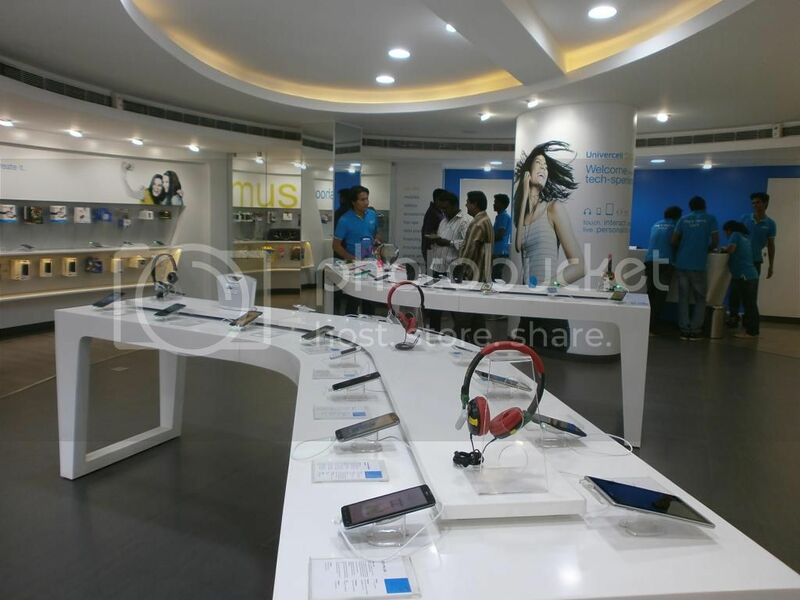 You could try Asus Zenfone 4/5, Sony Experia, HTC, Samsung, Micromax – all have decent phone models in that range. The best IMO is Asus Zenfone 5.